Porsche Middle East and Africa concluded 2017 with the most diverse model line-up in its history following a year of milestones which saw the announcement of several new Porsche sports cars. Arrivals included the new generation Panamera, including the fastest model in the series, the new Panamera Turbo S E-Hybrid. The brand’s iconic 911 range saw new additions in the form of the 911 GTS range, 911 Turbo S Exclusive Series and 911 GT3. 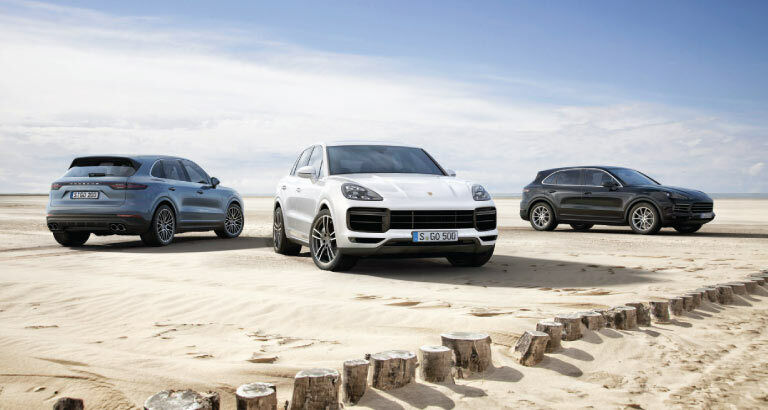 Dealerships across the region also opened up order books for several new models which are set to arrive in early 2018, including the highly anticipated third generation Cayenne, the record-breaking 911 GT2 RS, an all-new Panamera Sport Turismo, 718 GTS range as well as the refined 911 Carrera T.
Commenting on the year’s developments, Deesch Papke, CEO at Porsche Middle East and Africa FZE, says: “Our aim has never been to purely chase sales volumes, but rather, to continuously evolve our sports cars by ensuring that they fulfil our customers’ needs and desires.